Suction cups with mushroom head. 30mm diameter. 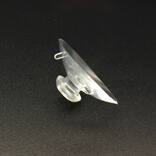 When we use clear mushroom head suction cups we have a specific reason to do so. Our reason is to save space, time and money. These products have the capacity to replicate and even exceed the performance of permanent hooks made from metal. 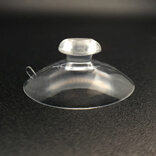 Most may wonder how can a small piece of suction made from plastic can manage such a feat. It all boils down to manufacturing, materials and even designs of the actual product. KingFar as an entity has been leading this space for a long period of time. They have managed to do so by taking care of the needs of their end consumers. This includes both residential and commercial users. 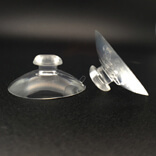 What most companies do not realize is that products like the Mushroom Head Suction Cups are used extensively by commercial users. While they have a number of permanent storage capacities, they also use these products for temporary storage of products that need to be displayed rather than stored in the shelves. They have made innovative designs using these products at all times. Innovative shape that provides a larger adsorption surface. 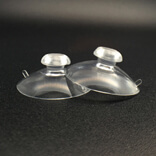 Mushroom Head Suction Cups has found a number of different applications across the globe. This product can be used in temperatures at high as 80degrees as well as -20 degrees. The product can also be used in different surfaces like wood, glass and even painted surfaces as long as they are smooth and without any dirt or bumps on the surface. 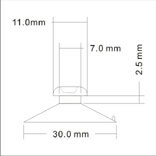 The product can also be used for storage applications that require load bearing of close to five kilograms.